PHILIPSBURG, WILLEMSTAD - On March 28, 2018, the National Ordinance Actualization and Harmonization Supervision Ordinances Centrale Bank van Curaçao en Sint Maarten (A.B. 2018, no. 5) came into force in Sint Maarten. 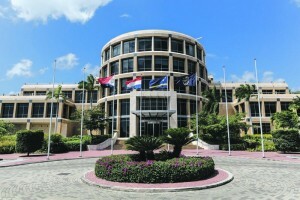 This ordinance brought along changes in several supervision ordinances of the Centrale Bank van Curaçao en Sint Maarten (CBCS). The CBCS was among other things, granted more supervisory power to perform market conduct supervision. Market conduct supervision aims to ensure orderly and transparent financial market processes, proper relationships between market participants and the exercise of due care by financial institutions in dealing with clients. In this regard, regulation has already been drafted in the areas of Overextension of Credit, Annual Percentage Rate when extending credit and Complaints Handling. The CBCS considers it important to receive complaints, tips, and signals from the public regarding supervised institutions. To file a complaint about a supervised institution, please refer to our complaint Q&A regarding the necessary steps, which can be downloaded from our website at http://www.centralbank.sx/complaint-faq. The CBCS ensures that all complaints are taken seriously and handled with due care. New regulation and guidance notes to protect clients when taking out financial products or services are currently being drafted in the areas of Product transparency, Duty of care, Advertising and Tyselling. Tying is the sale of one product with the obligation that the consumer must also purchase the second product. For example: a consumer closes a loan, but is forced to buy expensive securities insurance or an expensive term life insurance policy. Otherwise he will not get the loan. Practices as Ty-selling are now legally prohibited. With the increasing complexity of financial products, consumers must receive timely and clear information about the products and services offered by financial institutions. Consumers should be able to adequately assess a financial product and must be properly informed about the characteristics of the product and the eventual consequences of the product or service that they purchase. Additionally, when providing a service it is important that financial institutions assess whether or not the service offered is suitable for the consumer by obtaining information about the client’s financial position, the objectives of the client and the institution’s previous experiences with the client to better advise the consumer. In the process of bringing their products to consumers, institutions advertise their products. If an institution chooses to advertise its products, it must ensure that the information provided is clear and accurate, in other words: not misleading. Consumers are encouraged to regularly visit the CBCS’ website (http://centralbank.sx/conductsupervision to consult current and new regulations. Any questions regarding this matter can be addressed to d.president@centralbank.sx or info@centralbank.cw.